I started listening to Dostoevsky’s The Brothers Karamazov yesterday. I’m just finishing off Book II. One thing that has really struck me already is the book’s psychological depth. 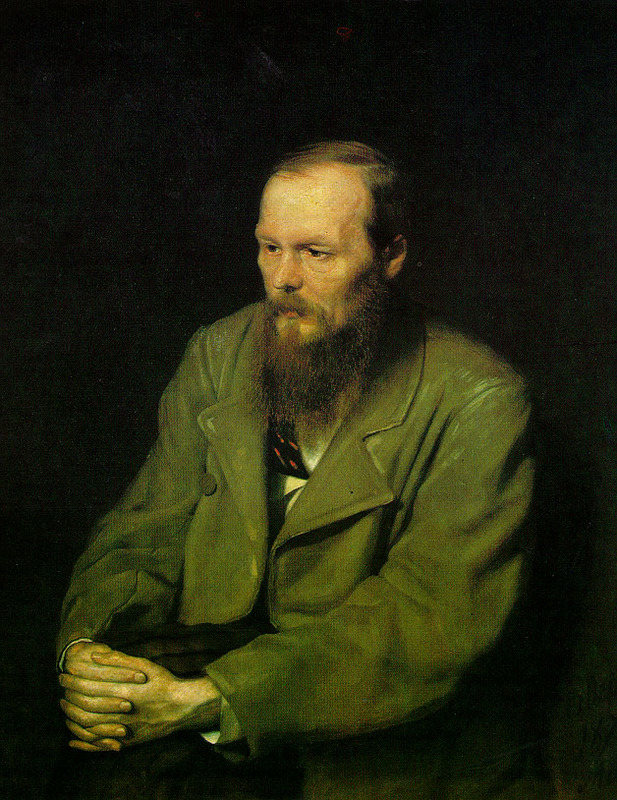 I’ve heard Dostoevsky compared with the other great 19th century Russian novelist, Leo Tolstoy, in that Tolstoy’s characters are realistic, whereas Dostoevsky’s characters symbolize ideas. I can see how the main characters do represent different approaches to life (my takes so far: Fyodor, selfish hedonism; Alyosha, virtue and faith; Ivan, rationalism and doubt; and Dmitri, emotion and passion). What strikes me, though, is how nuanced and complex and utterly believable these characters are – they do not function as mere mouthpieces in an ongoing philosophical conversation. They are, in their own way, realistic. Perhaps that is why the book is classified as a realist novel as well as a symbolic novel. I especially am struck by young Alyosha and his purity. I love the line where he is described as fearless, but sincerely unaware of his own fearlessness, and therefore without pride. I’ll keep posting about the book as I make my way through. The interesting thing is that Dost. characters also do take on deeper symbolic qualities – the four K bros especially. But, as you note, they are utterly realistic, complex, profound human beings. Eric, have you read the whole book? I would be curious to hear your thoughts.